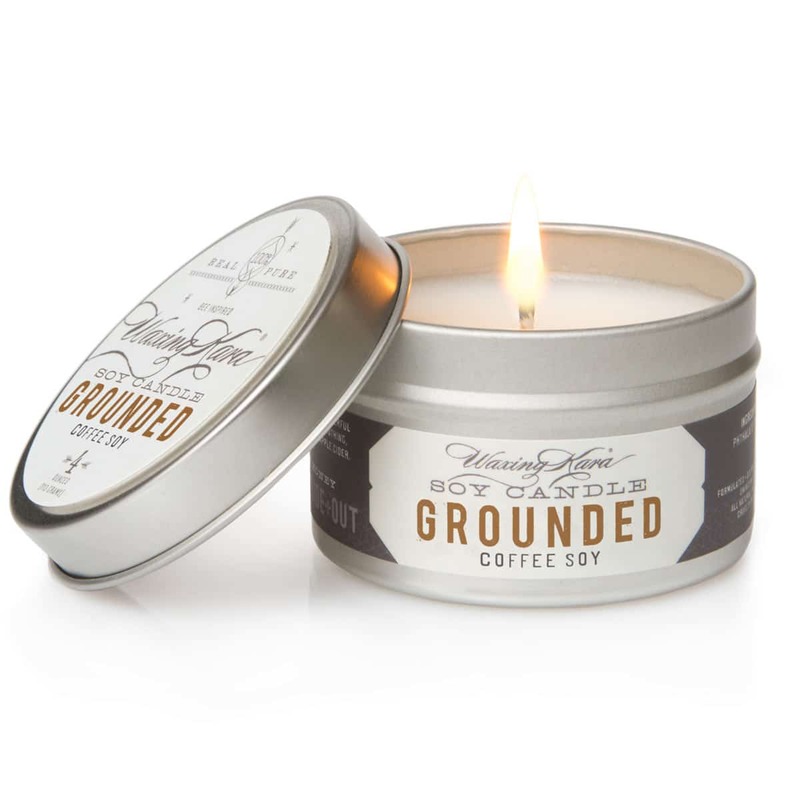 Grounded soy tin candle makes for a wonderful wake-up call. We’ve added a few fresh coffee beans for good luck. Enjoy it while sipping on your own cup o’ joe-it makes a great kitchen candle. 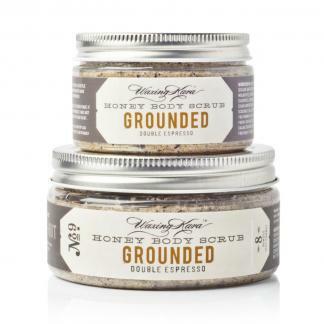 Formulated to wake you up and freshen your space, Grounded is strong like a cup of black coffee and just as exciting. We’ve blended together soy and beeswax to create a longer lasting candle with a soft glow. 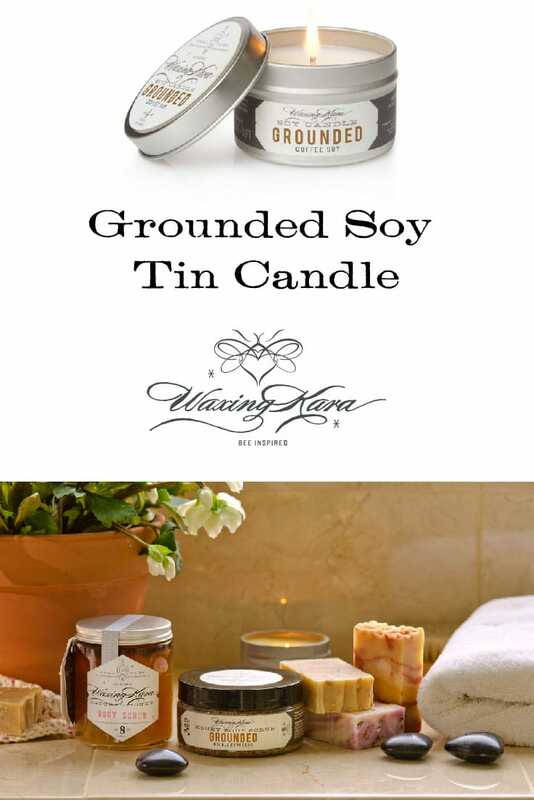 Ideal for the kitchen and food prep spaces, a Grounded Soy Tin Candle helps to neutralize odors and refresh the air in your home. Topped with a few coffee beans for a kiss of good luck. Ingredients: Natural Soy Wax, Phthalate-Free Fragrance Oil, Beeswax, Coffee Beans, 100% Cotton Wick. This has basically become my go-to candle to burn throughout the fall. I’ve always found the smell of freshly brewed coffee so comforting, especially during colder weather, and this candle lets me fill my space with that scent 24/7.